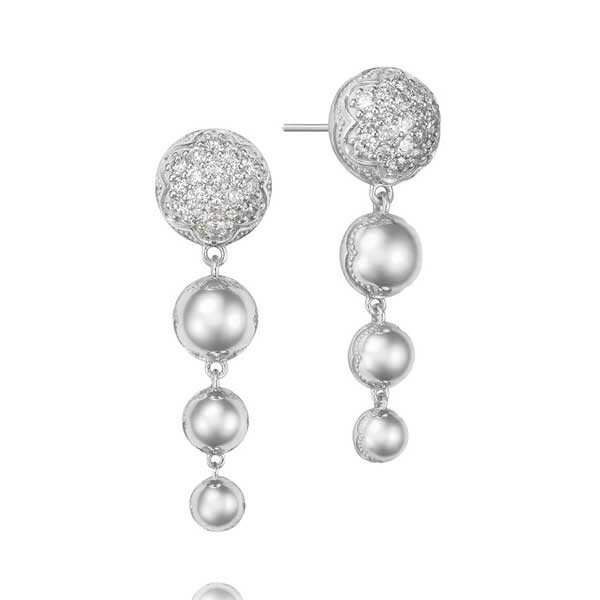 Part of the Sonoma Mist collection, these fantastic earrings from Tacori are amazing. Polished sterling silver domes, one smaller than the last, ascend from a diamond-encrusted stud to create this set, and scalloped edges with milgrain detailing add to the beauty of each piece. You may want to wear these gorgeous Tacori earrings to a black tie affair, but try them with a pair of jeans to elevate your style.